Scripps College is a private women’s liberal arts college located on a 37-acre historic campus in Claremont, California. 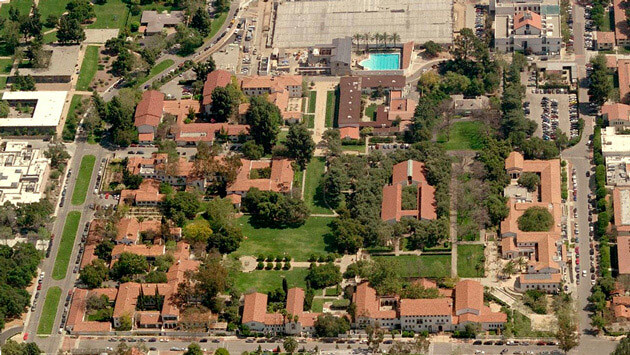 Listed on the National Register of Historic Places, the campus’s buildings and open spaces were initially designed in the 1920s and 1930s with great sensitivity to the climate, landscape and traditions of Southern California by Gordon Kaufman and Edward Huntsman-Trout. Moule and Polyzoides has been the master planning architect for the campus since 1982, producing three different plans with this 2008 version being the latest. 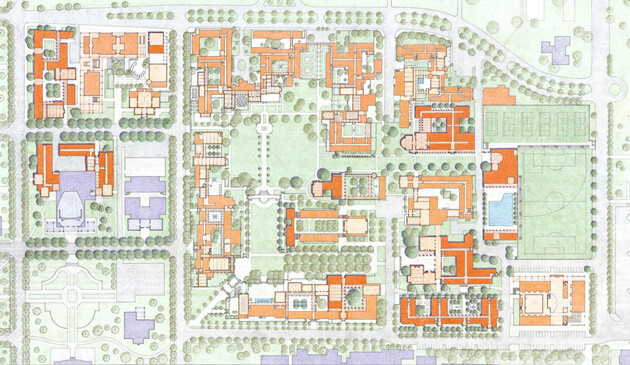 The master plan update involved a number of critical tasks, including a systematic documentation and analysis of existing buildings and landscapes and studies of proposed projects based on the academic, administrative and residential space needs according to the College’s 2007 strategic plan. The updated strategy outlined a series of carefully crafted interventions that continues the character of buildings as well as the lush quality of the landscape, thus safeguarding the unique qualities of the campus. The update also provided strategies for increasing parking, enhancing the pedestrian experience and accommodating the future expansion.